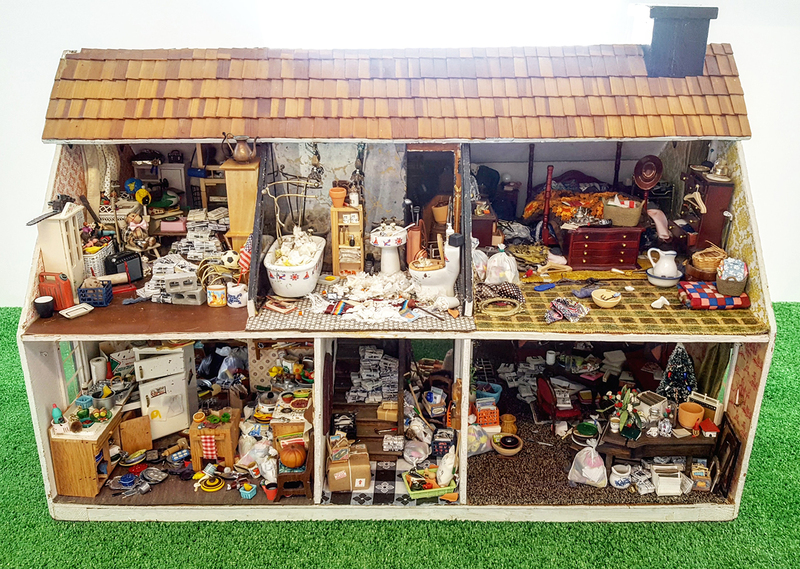 Very excited for the opening of Pocket Size at the Mike Kelley Mobile Homestead tonight, part of MOCAD‘s Fall exhibition line-up. The show has amazing miniatures in many modes, and my hoarder house, Hoard 1:12 (2) is making its debut in its second iteration – the first having fallen under the weight and damage of extreme hoarding. Discovered in the 4,000-year-old Tomb of Meketre, pillaged from the imperial palaces of the Russian Czars, and celebrated by the Parisian avant-garde, miniature works of art continue to intrigue and beguile people of all ages. 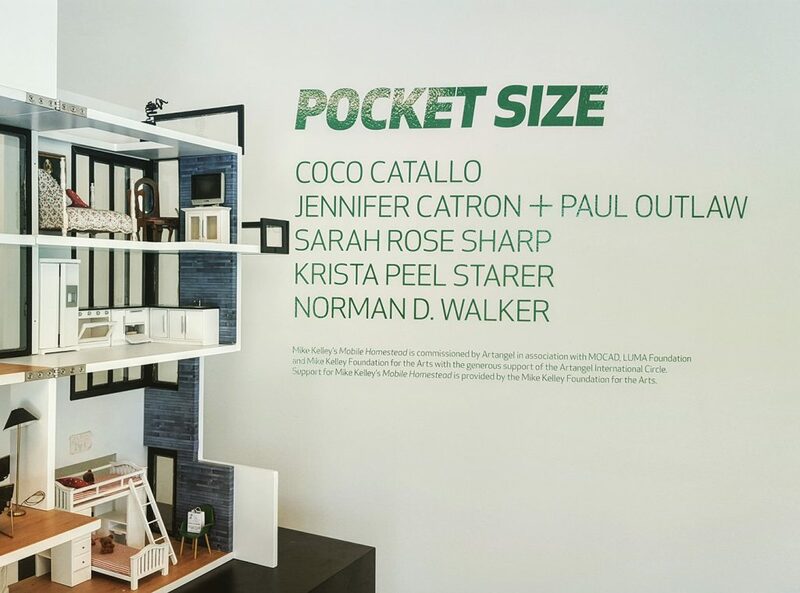 Pocket Size, a group exhibition of contemporary miniatures, invites viewers into worlds both twee and bizarre. Featuring work by Coco Catallo, Jennifer Catron and Paul Outlaw, Sarah Rose Sharp, Krista Peel Starer, and Norman Walker.